David Henderson has been a cop for almost 15 years. 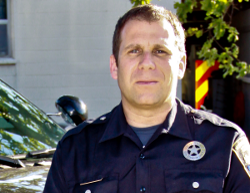 In that time he’s worked patrol, internal affairs, investigations, school, motors and administration, and in the past couple of years he’s focused on law enforcement technology, crime and intelligence analysis. 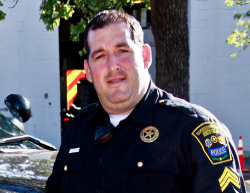 As an experienced TCLEOSE instructor, Henderson teaches at police academies and for in-service training at his agency. Henderson also currently serves on a federal task force. Nick Selby was sworn as a police officer in 2010. He has been an information security analyst and consultant for nine years, and has worked in physical security and intelligence consulting in various roles since 1993. In 2005 he established the information security practice at industry analyst firm The 451 Group, and from 2006-2011 served on the faculty of IANS Research. 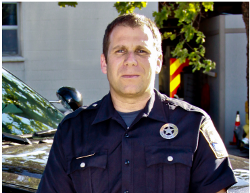 Since 2008 he has focused on law enforcement intelligence. He attended Tarrant County College police academy. In February, 2010, working as cop and analyst together on cases, Henderson and Selby each realized that they were moving from their core competencies towards that of the other. They established a consultancy around their combined strengths: law enforcement intelligence, information technology and security. Their customers include law enforcement agencies and technology vendors large and small. Because both believe passionately in inter-agency information and intelligence sharing, open systems and technology transparency, this blog and podcast were created as an open forum to discuss these issues.